Next month we will be moving out of our house and into a camper trailer to travel the country! It is seriously getting real! After nearly a year of talking about it, the final weeks are upon us. Here are a few of the ways we are preparing! The ultimate trip around Australia! We won’t be doing it but luckily we’ve been able to watch it on DVD! The DVDs are helping us get excited about our trip and make a list of some of the places we would like to see. It’s also giving us ideas of what life will really be like on the road. Of course we will be traveling a bit differently than the family in the video (we will be staying in accommodation provided by my husband’s work for the bulk of our year… and doing a lot fewer stops!) but the lessons they learn on their trip are extremely valuable to hear about and watching each episode helps us get more into the mindset of the journey that lies ahead! I really feel like we have been along for their trip and we have learned so much plus picked up so many tips already. 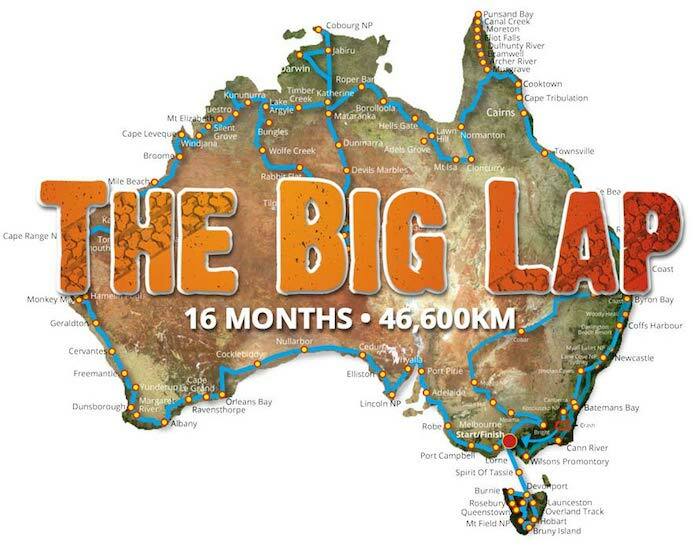 I highly recommend The Big Lap for anyone interested in traveling around Australia – it’s great entertainment and would make a fab gift for grown-ups and kids alike! Expedition Australia also has a wonderful blog with all the information you need to travel this country. You can check it out here. It’s a bit daunting trying to pack for a full year, especially when you know that you need to fit it all into the back of your car! I already sorted out my wardrobe, and am currently working on the kids’ clothing. I am also slowly but surely going through homeschooling materials and toys, to decide what is necessary to bring along. Two months ago we held a garage sale. 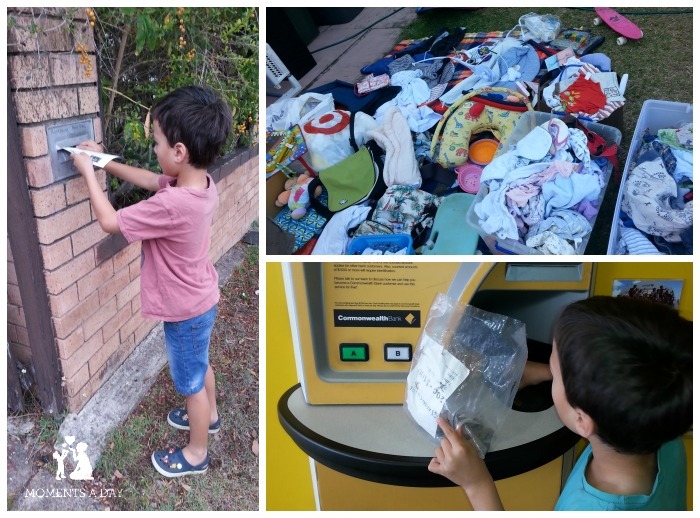 To make it more of a family venture we tried to get the kids involved as much as possible – from deciding what they would like to sell to delivering flyers around the neighbourhood to putting the money in the bank at the end. We have sold some bigger stuff on Gumtree, like beds and other furniture, and still have a lot to do… but we’re getting there. We have also decided on the storage company we want to use… the main reasons being because the units they use can be transported around the country – therefore if we want to move out of the Brisbane area, we can simply have our storage unit shipped somewhere. We currently have one room of the house emptied out except for stuff we want to store. We taped the dimensions of our storage unit onto the floor and walls of that room so we can make sure everything will fit, and this has been really helpful for figuring out what to let go of! 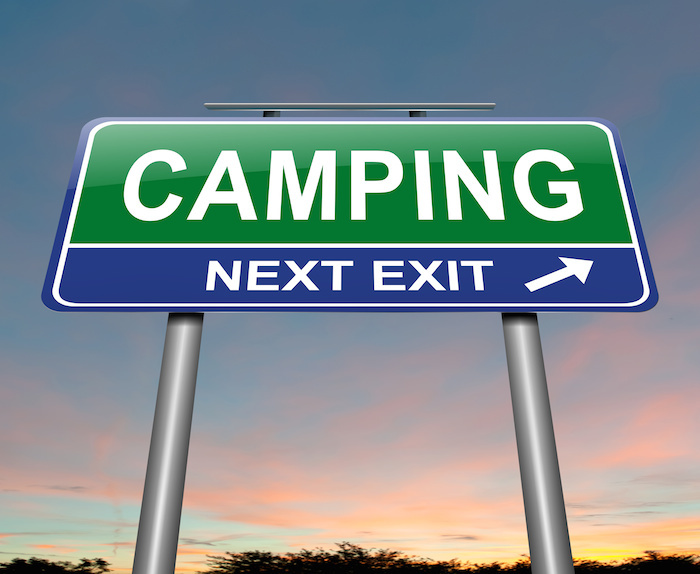 Yesterday we finally purchased our camper trailer – woohoo! We are going camping in it for the first time next week to trial our supplies and to see what we need to add (or take out). We actually rented a similar camper trailer a few weeks back to make sure this was the option we wanted to go with (you may have seen pics on Instagram)… after visiting two camper trailer shows (one in Brisbane which I shared here, one in Cleveland), and going to tons of show rooms to check out the numerous brands and models. I’ll share more about why we chose the one we did, plus photos of how we organise our stuff and maybe even a video of our living space later on! This is really important especially for the kids. We really have no idea if we will be moving back to Brisbane (we have been renting and have no real ties to the area), so we cannot promise the kids that they will see all of their friends again. We are planning to have a going away party at a local park the week before we leave, and keep reminding the kids of what lies ahead instead of focusing on what we are leaving behind. I hope lots of lead up time and little conversations here and there will help make the transition easier. What am I forgetting? Have you or do you know anyone who has done a similar trip with their family? Feel free to share your advice! To follow our journey, sign up for my newsletter, join me on Facebook and you can also bookmark the series here. I was sent a copy of The Big Lap DVDs to review for this post. To find out more about advertisement and reviews on my website please click here. Oh my goodness, this is amazing! I had no idea! I can’t wait to hear more about your journey. And what a beautiful country you get to explore. I hope to make it down there someday!! Good luck preparing! Thanks Erica! It’s definitely exciting, though daunting as well 😉 Things are coming together though – yay!